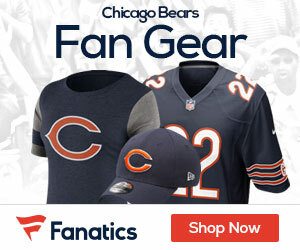 « 2009 Bears Schedule Released – Five Primetime Matchups! Jay Cutler will make his Bears debut in primetime against the division rival Green Bay Packers. The Bears’ quarterback may be new to the rivalry, but this will be the 178th meeting between Chicago and Green Bay, who split the series last year. Chicago’s new defensive line/assistant coach Rod Marinelli and the Bears will ring in the new calendar year in Detroit in the final game of the season. Marinelli returns to the Motor City for the first time since leading the Lions to the only 0-16 finish in NFL history last year. With Cutler under center, Marinelli could get his first win in Michigan since 2007. The Bears are among a handful of teams that will play five games in primetime in 2009. Their final game in the limelight, a Week 16 Monday nighter in which they host the Minnesota Vikings, could determine the NFC North champion — if both teams live up to expectations.